Singapore is described as a very comfortable place to live in and do business. But with a small domestic market of 5.5 million people, it is difficult for Singaporean entrepreneurs to fully develop their business potential. Thus, they will look to venturing abroad to seek growth. But venturing overseas is fraught with new challenges and facing the unknown. How does one prepare for this new adventure? I asked five young Singaporeans, who have taken the bold step of building their business overseas, for their insights. Competition is intense in Singapore in many industries. But what might not work in Singapore, there are other markets out there where the opportunity is ripe for the taking. “The training market is saturated in Singapore, operating here was being like a tiny fish in an overcrowded pond,” points out Michelle Leong, Managing Director of TenTen. Her company is a People Management and Strategic Business Consultancy that provides services ranging from corporate trainings and youth development programs to brand consulting and providing business solutions. She looked out into the Philippines and after doing her market study, she realised that the training market was under developed in Iloilo City in the Philippines, especially in the area of leadership and management training programs. With her local Filipino partner, she started a branch office to capitalise on the opportunity. “Singaporeans are comforted to know that there are many financing and funding options for students in the major universities such as NUS, NTU and SMU. However, this is not the same in other countries of Southeast Asia,” observed Syakir Hashim. 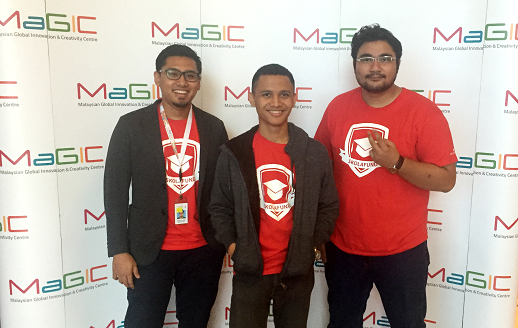 His co-founder, Tengku Syamil, who studied in Malaysia, noticed the lack of higher education financing among his peers. This caused the duo to research further and to discover that the lack of funding had deprived students from potentially advancing their studies. To resolve this issue, the team started Skolafund, a web platform that enables undergraduates to crowdsource their scholarships from friends, families, corporates and foundations. Their mission were to match deserving underprivileged undergrads with funders. 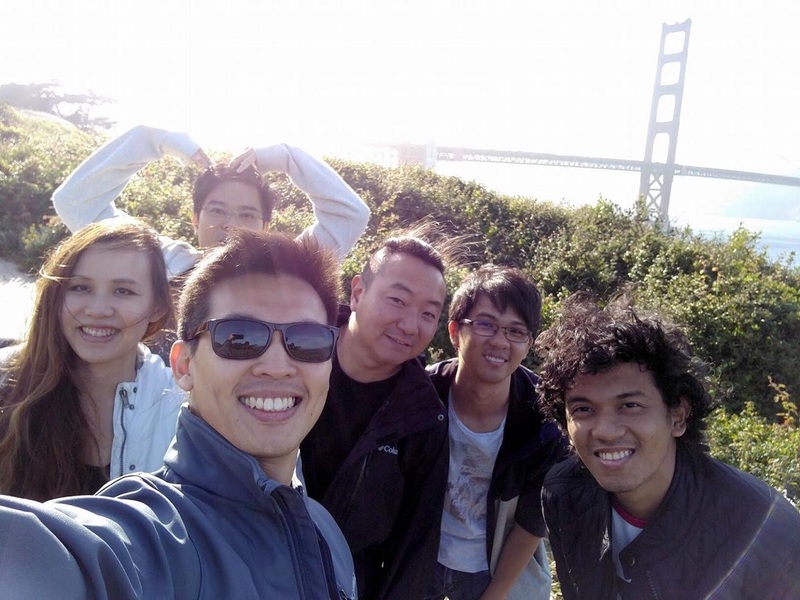 Paul Yang founded Lomotif, a social video app now used by millions worldwide. It is a new form of video expression which surrounds shareable and reusable clips. Paul boast that two videos are created every second on Lomotif. It was by strategic positioning that Lomotif decided not to stay in Singapore. The sheer market size and early adoption of consumer apps was the reason he took the jump to the US. Umar Munshi saw the sheer size and demographics of the neighbouring Indonesia and Malaysia as the main factor of expanding out of Singapore. He explains, “Our target market is Muslims and Ethical Investors. There are 200million Muslims in Indonesia and 20million Muslims in Malaysia. Singapore has only 5.5 million people and much less in terms of Muslims. Furthermore, we also have access to a larger pool of specialised talent with knowledge and expertise in Islamic Finance and Islamic Economics. The cost of setting up and operating in these territories is also much lower, allowing us to have more resources on a lower budget. Umar founded and is Managing Partner of EthisCrowd.com, which focuses on crowdfunding direct investment into real estate development projects. EthisCrowd has thus far matched crowdfunded funds to projects in Indonesia that will eventually provide a total of 5,000 subsidised low-cost houses. Jerry Chen believes in-store background environmental music enhances brand recall for merchants. He founded Express Melody, which provides audio branding solutions that maximizes revenue with brand recall optimization. The patented cloud technology allows management control of in-store background environmental music, which have helped merchants achieved higher sales, increased productivity, costs savings and legal assurance. He found Singapore going through a retail fatigue. Merchants were complacent and were unwilling to make changes, especially in in-store background music. However, as he travelled to emerging markets in Southeast Asia, F&B players were eager to know more about how they are able to develop their business. 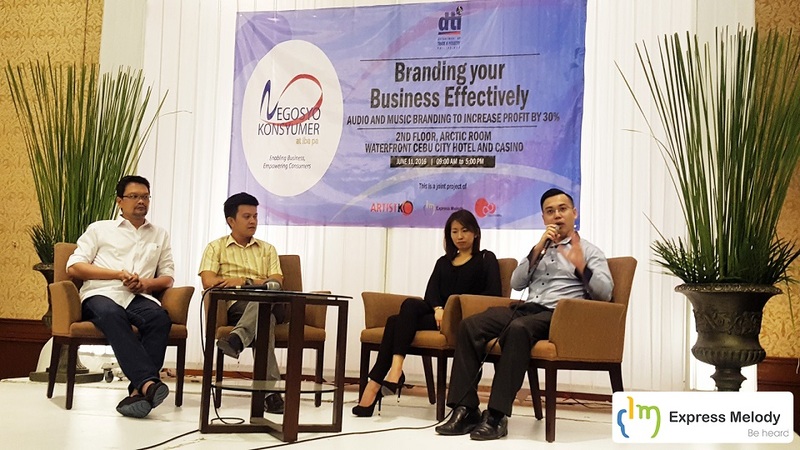 In terms of using music as a branding tool, they are much more receptive to ideas and recommendations from Express Melody. This confirmed his decision to operate in new markets. Michelle agrees with this assessment. 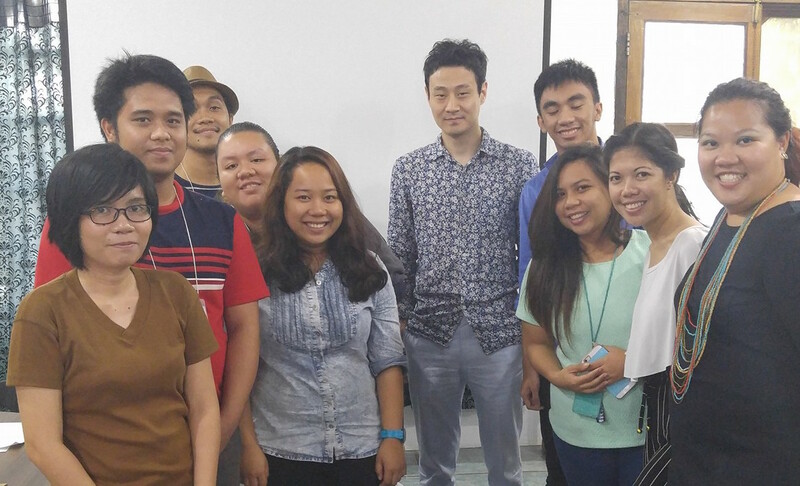 For her, it took her months to integrate in with the Filipino way of doing business. She explains, “There were many unspoken cultural norms that I had to pick up in order to gain the trust of the locals. I had to adjust things like work hours (strictly 9am-6pm, and 21 days of mandated public holidays leave, to name a few) in order to adapt to their local expectation of work-life balance. The entrepreneurs share that it gets lonely and discouraging when building their startups overseas. So what do they rely on to keep that fighting spirit going? The Lomotif team also participated in a platinum-tiered accelerator, StartX. The resources and access to networks provided by the StartX community has augmented how Lomotif operates in the Valley, and given his team valuable mentorship from some of the best minds in consumer tech, including top-notch founders and VCs. Even after graduating from the accelerator, the team still reaps the benefits and our network is growing stronger. As for Skolafund, the team was fortunate to have received support from key players of the Malaysian startup ecosystem such as the ASEAN Centre for Entrepreneurship (ACE) which is a part of MaGIC, the Maybank Innovation Group and many other organisations in Malaysia who were very welcoming and helped connected them to the Malaysian startup ecosystem. Syakir describes how bootstrapping the company in another country can get stressful. He credits his family and friends, as well as friends of Skolafund on social media and also the helpful Malaysian startup community who helped pull them through the difficult times. He specially highlights Dato’ Fazley Yaakob and Imran Ajmain who used their social media influence to help publicise Skolafund in Malaysia. For Michelle, she honestly felt the biggest support came from family and friends who not only journeyed with her, but also invested financially into TenTen. Singapore companies who want to scale up has to go out of Singapore eventually. So what advice do the startup founders have? Paul says, “While It’s great to understand where your natural market is, as you’re more likely to hit some sort of inflection point when you find users and customers who are as excited about your product, and will help you spread the word. As we celebrate Singapore’s first of the next fifty years, it is a timely reminder that Singapore’s economic success was founded on entrepreneurship and determination. And as a nation to continue its relevance in this globalised world, may it continue to grow a new generation of entrepreneurs who are delivering change and impact to the world around them. These Singapore entrepreneurs have shown that it is possible to launch out in another market. And may they be an inspiration to Singaporeans to reach for new heights. To all Singaporeans, wherever you are, Happy 51st National Day! This is the fifth article of the Heartware Singapore series, where the author shares on different topics to spur the Singapore startup ecosystem.